Chasin' Mason: Do Less. More Often. Now that 2017 is well under way and the month is more than half over, I figure it might be a good time to share my "resolutions" or "goals" or "word of the year". Also read as : I meant to post this a couple weeks ago, but life got the best of me and time got away from me and here we are now. I didn't want to just skip posting this, so my mantra, better late than never, right? Right. I posted this picture on Instagram last week and while it is partly a joke (drink more Starbucks and eat more chocolate), it does hold true still. 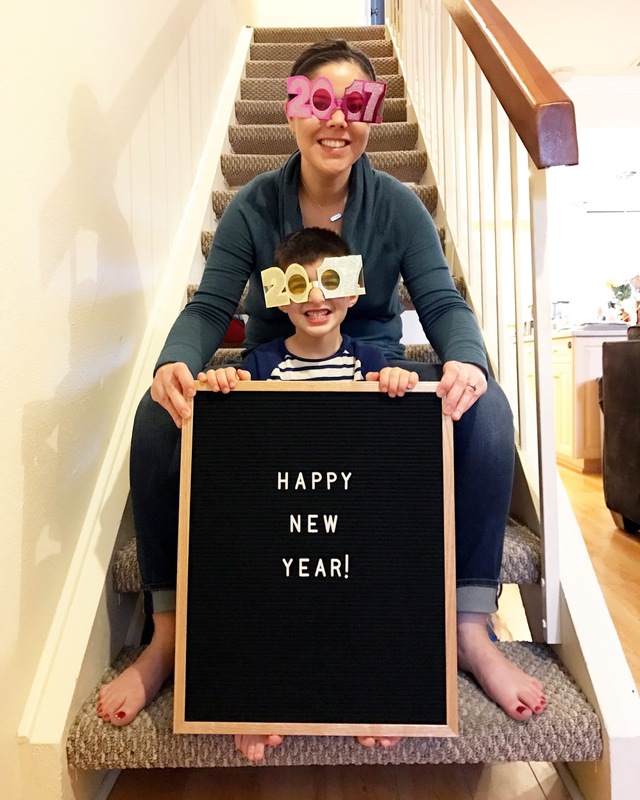 As we start a new year, a couple days in, people always come up with these elaborate resolutions or goals or words that they want to live by for the year. I've tried and epically failed. Multiple times. So, this year, I have these four words to live by. They may seem like little words to most, but they are incredibly hard for me for some reason. I am a people pleaser. I like to make people happy. So when someone asks me to collaborate with them, I almost always say yes. Not only to appease them but because it sounds fun and I genuinely want to. BUT this is where I get myself into trouble. I need to learn to say no. I am TERRIBLE at saying no. When people ask me to do something with them, even if I had planned to do nothing all day and just relax, I always say yes because I WANT to hang out, but because I also don't want to say no. It's a horrible situation I've gotten into. I'm a yes person. (Although surprisingly (or maybe not so), I have no problem saying no to Mason in most cases... like when he wants ice cream from breakfast). Recently, I've been trying to follow my heart and just do what I want to do (which is partly why this post has taken so long to complete - sleep has won out on multiple occasions lately). You'd think that would be easy since this is my life and I SHOULD be doing what I want to do anyway. But more often than not, I feel like I should be doing a, b, or c when all I really WANT to do is x, y, or z.... a, b, and c being cleaning, blog writing/reading/responding to comments, or something else around the house and x, y, and z being baking cookies with Mason, watching tv, or sleeping. I've been trying to follow my heart and when I want to be lazy and watch tv and fall asleep on the couch at 8:02 pm after Mason goes to bed, I do. I wake up to 40 texts and tons of unresponded to emails, but hey, I got a good nights sleep! When it all comes down to it, I felt like the blog was my area of "weakness". The area where I was feeling the most guilty and the area that was bringing me the most stress. I always felt like I was letting someone down by not reading their blog post on the day it was posted, not commenting soon enough, not responding to emails fast enough, or who even knows what else. I feel guilty doing what I NEED to do instead of what I WANT to do and it just shouldn't be that way. I feel guilty doing what I WANT to do when I should be doing other things that I NEED to do. I just can't win. I just feel GUILTY all the time. And I'm not ready to give up blogging because I truly do love it (and plan to share my 5 W's of blogging soon! ), but I know something has to change. I find that I'm spreading myself too thin and nobody wins when that happens. I constantly feel stressed. I feel like I'm not present in anything I'm doing. And everyone and everything always gets less than 100% of my attention. And that's not fair. Sometimes I feel like I get annoyed with Mason that he wants my attention ALL the time because I feel like why do I need to watch you watch the iPad or a tv show? But really, he just wants to be near me or with me. He constantly amazes me with how much he knows and what he does and I often get wrapped up watching him play on his own, but really I just need to be more present and be there playing WITH him instead of just watching him. So, with that, my goal and words for 2017 are to do less, more often. Easier said than done, but I'm trying! I want to find more new recipes for us to try and repeat meals each week less often. I want to browse through my new cookbooks and find healthier meals for us. I don't want to, but should work out more (or at all). I want to actually read a book. Even just ONE. I want to travel more - doesn't have to be far, just more. Palm Springs, San Diego, anywhere! I want to laugh more and be stressed less. I want to make the most out of our Disneyland passes because I don't know if we will renew them. I want to be carefree and just enjoy life. I want to take advantage of the fact that we can take Mason out of school whenever we want. Because next year, in kindergarten, we can't. I want to be kind in a world where everyone is so self centered these days. I want to be in less of a hurry, less of a rush to get things done. Go, go, go go! I want to actually DO things on my to do list instead of just adding more to it. I realize that I can't just do whatever I want and do anything willy nilly, but I just want to be less stressed. Lately Mason has been super needy and I'm not sure why, but I want to enjoy the time when he WANTS to be with me because soon enough, that won't happen. I get annoyed that he needs me to help him fall asleep because there's so much I could be doing. But really, HE is my most important work. HE is what I should be doing. I get annoyed that he wants me to watch every little thing that he's doing when all I'm trying to do is check my bank account and pay some bills. I get annoyed that all he's doing is watching the iPad, but he wants me to sit there, right next to him, and just BE there with him. He's growing up by the minute every day, and soon, he won't want to be seen in public with me (I know - jumping the gun a bit, but you get my point), so I need to take advantage now. So, if I say no to something, please don't take offense to it. More than likely I wanted to say yes and it was EXTREMELY hard for me to say no. I just want to do less, more often. My husband is a people pleaser too and I find slowly I'm teaching him you can say no without an excuse. Saying you have plans when you are just hanging out is not a lie... your plan was to just hang out at home and you don't want to change it ;). I love your goals and I love that you shared them even though it's lateish, just like I did yesterday! YES YES YES! This is all why I decided I blog less. I can tell you that one day less has made all the difference for me. I've also delegated Thursdays as our free day. Connor doesn't have school and we don't have to do anything or be anywhere unless I make plans. So yes... no less more often is a great way to spend the year. I used to get so stressed when I couldn't keep up with all the blogs and blogging I wanted to do. It took some time, like a couple years, but I've finally gotten to the point where if a post doesn't interest me I skip it (think: sponsored or I have nothing in common with the content). It's made life so much more enjoyable. For a while it started feeling like work. And yes. I really, really want to be more present with the kids. 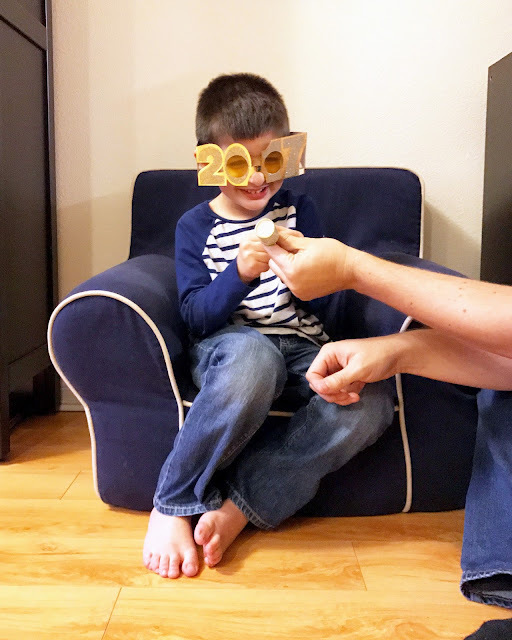 Next year is going to bring drastic changes, and I really want to soak up what little, seemingly care-free time we have left before REAL school starts. Say no to the petty stuff, more! It's SO liberating! I love everything about this post. So much YES. I agree, blogging stresses me out a lot too and I want to be more present when I'm home. I want to take Mac out of school and travel and read! As moms and grown-ups we already have to do so many things that don't make us happy, why subject ourselves to even more if we don't have to! 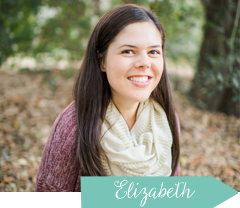 Liz, your sweet heart is seriously the best. You have helped me out more this past year than you realize with blog stuff and in my personal life, so THANK YOU. I can relate to this so much. And Im super proud of you for taking a stand. You will feel so much more refreshed. And balanced. Youre totally right about how fast our kids go from wanting you next to them always to being embarrassed by you! Sometimes Kinsey already makes me feel that way and its crushing but also a little funny. I think this is a great goal, and it's one I can totally relate to. I have a hard time saying no and letting go of all the must dos on my to do list. I've been listening to the podcast The Lively Show lately and she talks a lot about "flow" which sounds a lot like the listening to your heart like you're talking about. That's something I've been trying to do too although I feel like it's a constant battle. I cannot tell you how much I love this! This is so true, I just kept nodding my head the whole time, yes, to everything in this post, and I am going to be right there with no, do less more often. Now, want to go hang out, haha, j/k. sort of. I LOVE this and I can totally relate! I need to cut back in some areas of life lately and focus on my kiddos more. I love this!! 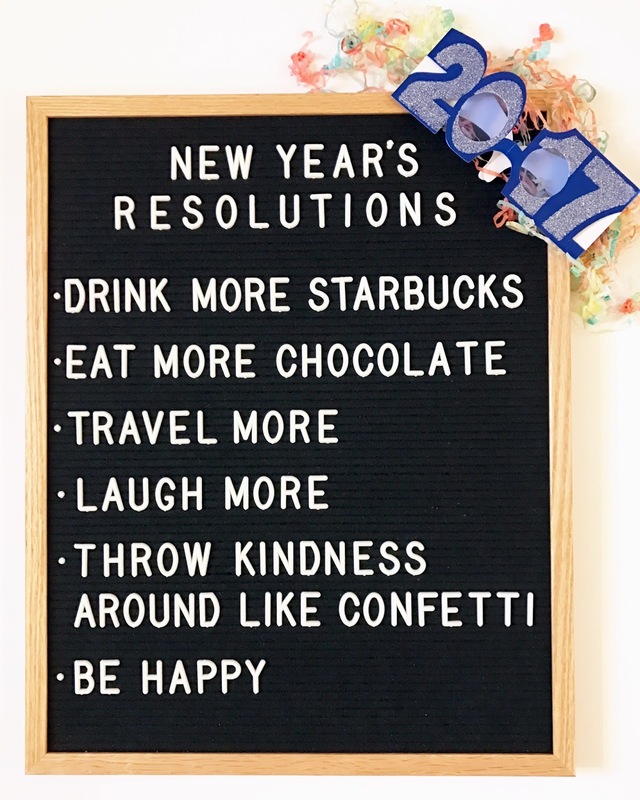 What a happy list to be your theme of the new year. Hope it's a year filled with more smiles and less stress. Liz those are words to live by girl. We could ALL embrace them with you. I want to do what I want to do more often too. But instead I am reading blogs to catch up in the car right now. Im gonna stop now. Thank you friend. It's like you read my mind when you wrote this! Blogging definitely stresses me out, and especially over the last few months, when I've just been trying to keep up! 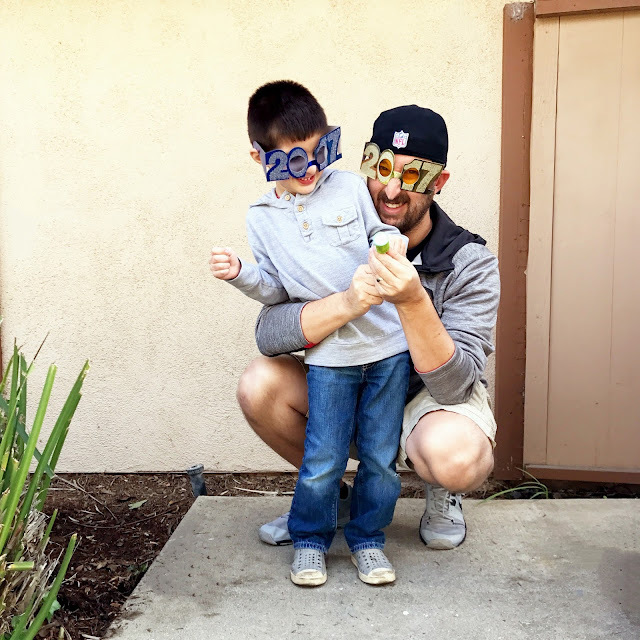 I love reading blogs and commenting, but sometimes posting just takes too much time and work, when I want to be spending that time with my family. So I'm right there with you! Love it! I think this is a great goal for you! I think getting pregnant and having a baby has made this way easier for me ha. I blogged twice this month, totally cool with it. And I just backed out of something I said yes too...so not me. I shouldn't have said yes in the first place, what was I thinking?? But I had to man up say sorry but can't do it. Still feel bad about it though. Crud. My goal is 'play' because so many times I give Aria something to do so I can do something else...make dinner, feed Lincoln, etc. I just want to be more present with her this year. Fingers crossed it gets easier with also having a needy baby. Visiting from Foxy's Domestic Side. This is what led me to stop blogging. Guilt. Never doing enough posting/commenting/reading blogs. Posts taking soooo long. Always feeling rushed. I'm not making any money. No one is MAKING me do it? Why M I doing this to myself?? So I just stopped. No fanfare. Just stopped. And you know what? So far only one person has noticed. Been doing a lot of other (more important) stuff so I'm good with it! Thanks for sharing this! Just added confirmation to my decision!